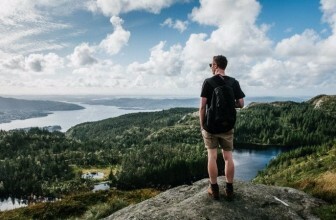 Do you believe that backpack is one of the most important things that everyone should have? Backpacks are not only for school, it can be used also in office to carry important documents, laptop, and other valuables. Backpacks are also useful in traveling local or abroad because it eliminates the hassle of carrying or pulling a huge luggage around. Other professionals can also carry backpacks even if they are in construction sites. 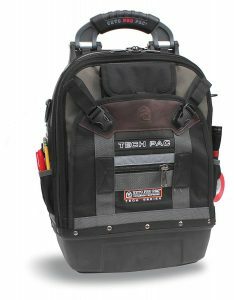 Since backpacks are handy in various workplaces, electricians and contractors now have a specially designed tool backpack. No more toolbox or wheel cart anymore because everything they need for the job is just right inside their backpacks. If you are looking for a tool backpack that guarantees your comfort as well as a spacious storage, then this Custom LeatherCraft a.k.a. 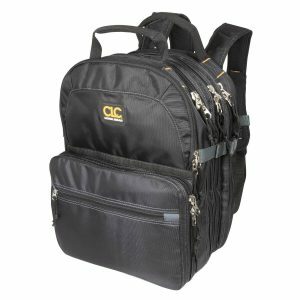 CLC 1134 Carpenter’s Tool Backpack is right for you. This tool backpack showcases 2 main zippered compartments, front pockets, and sturdy handles on top of the bag. It also contains side pockets where you can just insert your pens, markers, or even a penlight for easy access. This tool backpack is so lightweight and comfy with all its padded handles, straps, and back support. 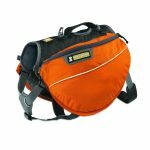 You can also adjust its chest strap to keep your bag in place and reduce the pressure on your back. Have you tried using Klein Tools backpack before? Well, this tool backpack model is indeed one of the best out there on the market that Klein Tools is proud of. Klein Tools 55421BP-14 Pro Organizer Backpack has a rubberized molded base, lots of pockets to keep your tools, a handy swivel look, and a ribbon strap for holding other tools outside. Despite its slim look, it can hold up to 39 tools and other valuables you may need. It is designed to organize and protect even the most fragile items. You can easily zip down the zippered compartment up to the base for an easy access to your tools. If you are looking for a best tool backpack where you can fit all your needed tools and even your helmet inside, Revco Industries Revco GB100 BSX Extreme Gear Pack with Helmet catch is the perfect catch for you. It is the perfect tool backpack that riders have been waiting for since you no longer need to put your helmet anywhere else for safety. 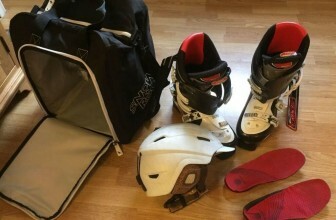 You can also store other bulky items inside the helmet catch if you don’t have your helmet with you. If you no longer need additional storage, you can remove the detachable helmet catch. This tool backpack is also padded to add comfort. Can’t get enough of Carpenter’s LeatherCraft products but you want more pockets for your tools? 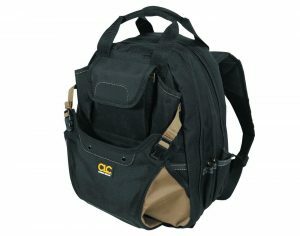 Don’t worry because CLC Custom LeatherCraft 1132 Tool Backpack can be the perfect bag to fulfill your needs. Carpenter’s LeatherCraft is indeed a popular brand when it comes to tool backpacks because the brand really knows what the customers need. So far, this CLC Custom LeatherCraft 1132 Tool Backpack is one of the best items on the market with the most number of pockets that you can get. Despite its capacity, it can still carry and protect your tools without mixing them all inside. Each pocket is built with flaps and closures. Do you want something a little cute but monster in storage? 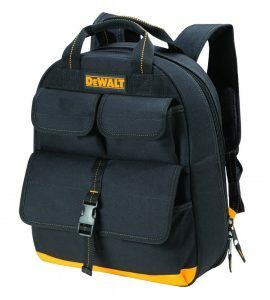 In that case, why not try this cute tool backpack from DeWalt? DeWalt DGL523 Lighted Tool Backpack is popular for its cute size but with a monstrous capacity to keep up to 57 tools in its pockets. 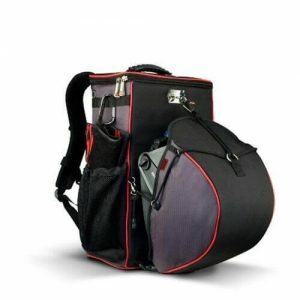 Its nifty design, durable construction, and added accessories made it one of the most favorite bags by carpenters and electricians who prefer smaller backpacks. Even with its single main compartment, you can still fill it with more tools you need. You don’t have to worry about carrying so much weight on your shoulders since its shoulder straps are designed with added comfort. We all know that finding a decent tool backpack already takes a lot of time. But if you also want a bag that can stay in an upright position even after putting all your tools inside, that is what you can already call a real challenge. Of course, there are lots of tool backpacks on the market right now. 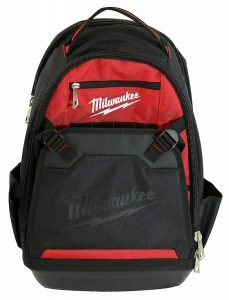 But finding a backpack like Milwaukee 48-22-8200 Jobsite Backpack is something. Milwaukee 48-22-8200 Jobsite Backpack is no ordinary tool backpack. 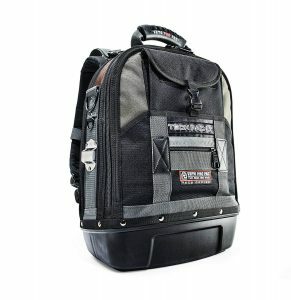 It’s an improved backpack for all types of workers who want a heavy-duty bag for handy tools. It’s solid, reliable and comfortable to carry. Backpacks are really handy for various activities especially for work just like this VETO PRO PAC Tech Pac LT Tool Bag. This VETO PRO PAC Tech Pac LT Tool Bag serves as a stylish toolbox in a body of a backpack to keep your tools safe and sound. Knowing VETO PRO PAC’s brand, you will never regret getting this bag for it is worth the price. Keep your pens, pencils, and markers from mixing with other tools by sliding them in smaller sleeves inside. No matter how many are its inner and outer pockets, it will surely keep your tools organized instead of mixing them in a single compartment. Perform at your best at all times with the right tool backpack by your side. Your search is over when it comes to the best backpack that values style and function. 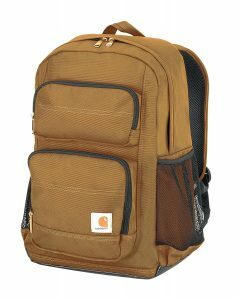 This Carhartt Legacy Standard Work Backpack is a must-have if you want a stylish backpack that will keep your tools safe as well as your precious laptop. Its additional laptop compartment is specially designed to keep fragile items inside its padded compartment. 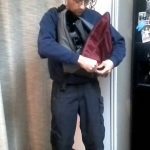 This is another excellent tool backpack if prefer things simple yet very functional. It may look like another school bag but it’s actually a tough backpack that can take up to 30 lbs. Some backpacks are just for offices, some are just for schools, while some are for traveling. If you really want a backpack that can carry everything you need from your most favorite tools to the most important tools, get a tool backpack. 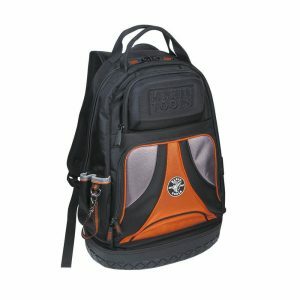 A tool backpack like Veto Pro Pac TECH PAC Tool Backpack is one of the best getaway backpacks every time duty calls. You want multiple pockets to secure your tools then you got it. Veto Pro Pac TECH PAC Tool Backpack will help you make sure your favorite tools and valuables are safe between padded sleeves. You can even put your tablet in of its padded sleeve compartments. Are you a fan of DeWalt brand? No worries because a lot of people do especially those who are fond of dealing with wires, electric currents, screws, and construction. If you want an extraordinary backpack inside but seem ordinary outside, this DeWalt DGC530 USB Charging Tool Backpack can be perfect for you. It works best for those who don’t want others to see what kind of tools they are carrying inside while blending in the crowd. 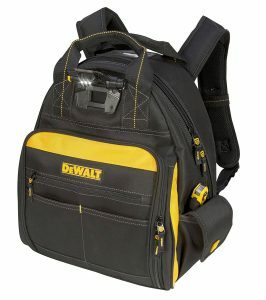 DeWalt DGC530 USB Charging Tool Backpack looks like an ordinary school bag outside but holds multiple compartments inside. Keep your tools and extra clothes here and go straight to a party without feeling awkward with it. Since you’d be carrying tools that are obviously heavy, be sure that the size and design of your tool backpack is enough to keep everything you need at the right place. Your tool backpack alone can weight more than ordinary backpacks due to its construction. Thus, keep in mind the weight of your tools which you’d be carrying around since it will help you find the best tool backpack’s size and design. The life of a tool backpack can extend from 5 to 10 years depending on its construction. If you’re planning to get a tool backpack that will carry your tools for years, be sure that its construction is perfect for heavy-duty. Consider the thickness of the backpack’s fiber. The thicker and heavier weave the better. Avoid nylons even though it’s where most bags now on the market are made. The fiber’s thickness should be at least 600 x 600. Tool backpacks with 1,200 x 1,200 and above weave means it’s really tough. Aside from the shoulder straps, take note of having more handles when choosing a tool backpack. Basically, the more handle the better since it would help you transfer the weight of your tools from your shoulders to your hands. 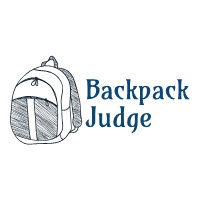 If you want to carry your backpack in long distances, the shoulder straps are really handy while the shorter handles allow you to carry your bag with your hands within short distances. You can also go for textured handles if you want. Most customers get too overwhelmed by the design of their bags that they tend to forget about the quality of the zipper. Your zipper must be strong enough to endure years of usage no matter what is its size and weight capacity. Always try the zippers before purchasing any tool backpack. If you want a high-quality tool backpack, be sure that it has a decent padding to protect your tools and keep you comfortable while wearing it. 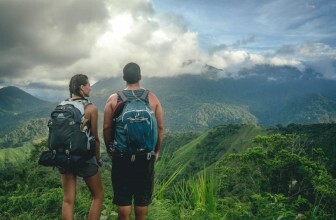 Each handle of your backpack should be padded nicely especially its back that connects with your back. Together with your padded handles and padded back, it would be easier for you to carry your backpack if it’s padded from top to bottom. Pockets are very important to keep your tools from mixing and causing chaos inside your tool backpack. Don’t be afraid of getting a backpack with lots of pockets, you’ll find them useful once you pack your tools inside. Ensure that all pockets’ size varies to fit the right tools and other things you want to carry. The quality of a bag can be seen on its base too so get a tool backpack with a tough base. This way, your tools won’t get damaged or get wet easily even if you accidentally drop your bag. Unlike carrying a tool box, having a best tool backpack is way better to balance the distribution of your bag’s weight on your shoulders. No matter how heavy is your tool backpack with all your tools inside, it’s still more comfortable than putting all the weight on one shoulder only. This is one of the reasons why you wouldn’t see anyone traveling with a messenger bag or a huge shoulder bag. It’s a hassle and inappropriate to carry your clothes and other valuables, isn’t it? Besides, people have been using backpacks for outdoors for hundreds of years already. It’s for everyday, casual and professional use.